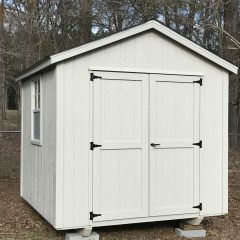 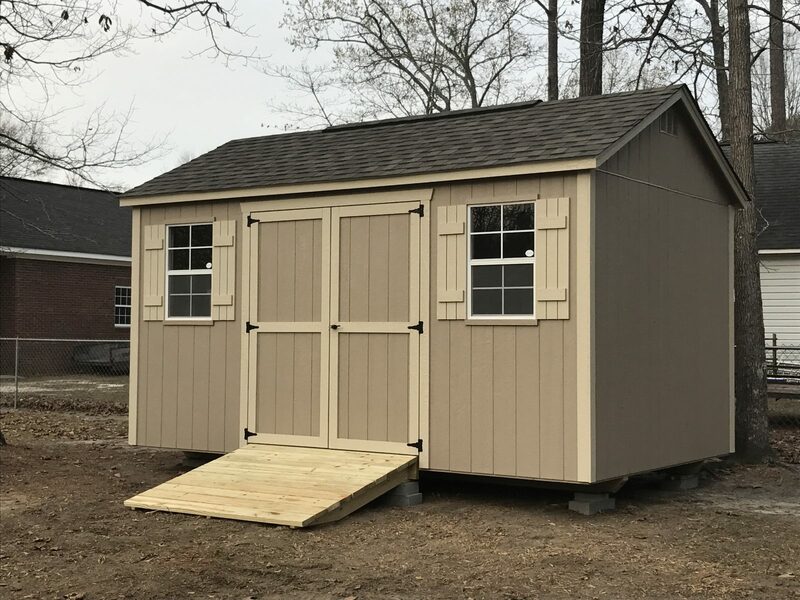 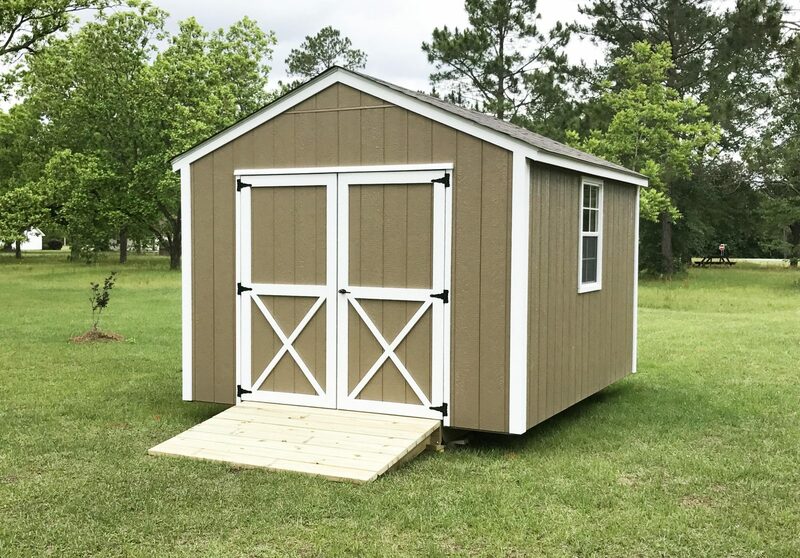 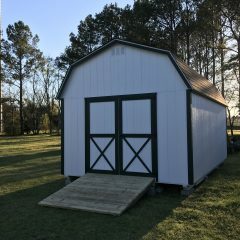 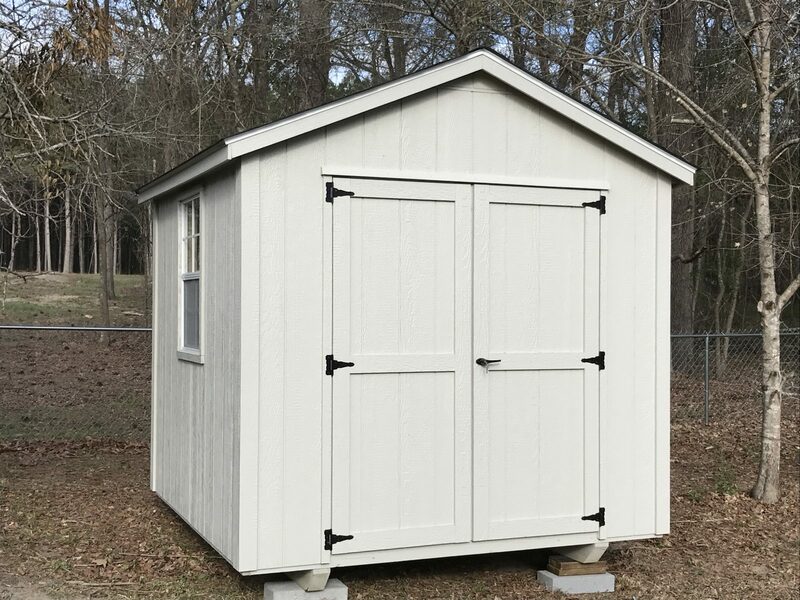 Increase your available space with one of our storage sheds in Augusta GA. We’re happy to announce that our entire line of premium storage sheds is available to the residents of Augusta GA and surrounding areas. 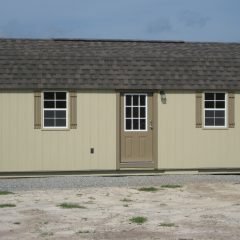 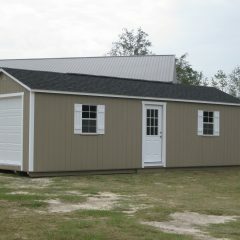 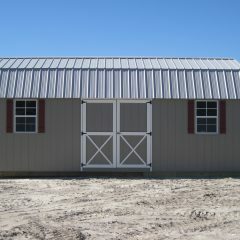 All of the buildings we offer are built in GA and delivered to your prepared site. 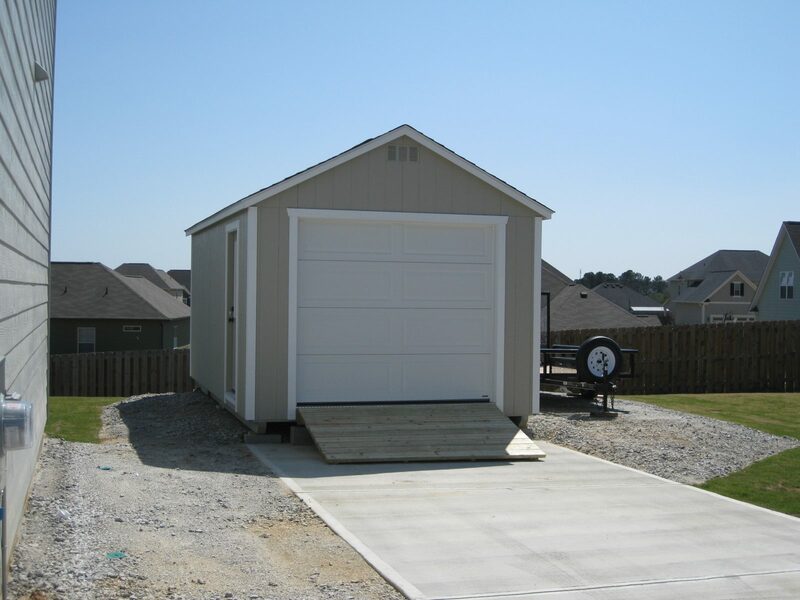 We offer a no hassle experience to help you find the storage or living space that you need. 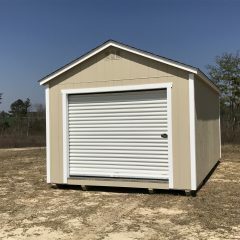 Whether you need basic storage for lawn and garden tools, or a garage for your classic car, our buildings are built to stand the test of time and provide years of faithful service. 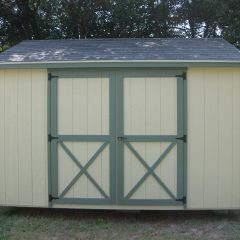 This shed would look great in your garden, or it could be used in a great variety of other ways. 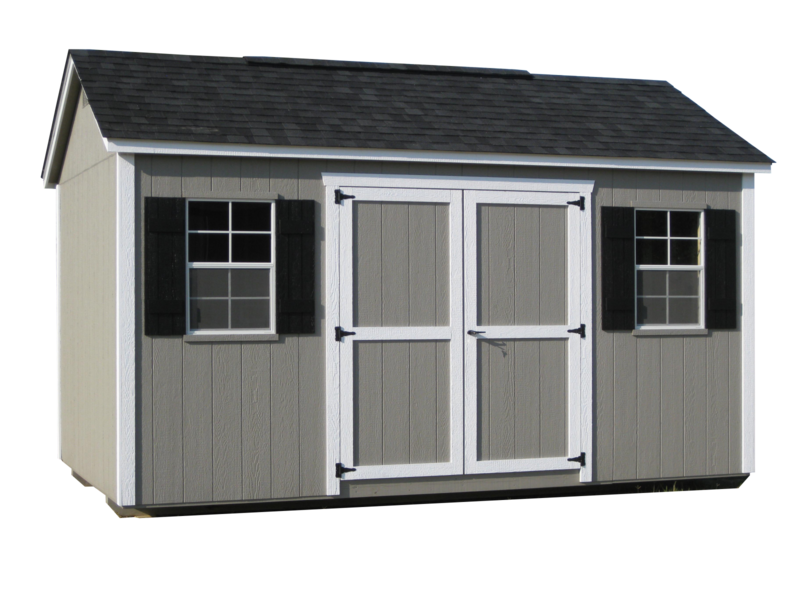 You might decide to start a home business in the Garden Shed Max or turn it into a living space. 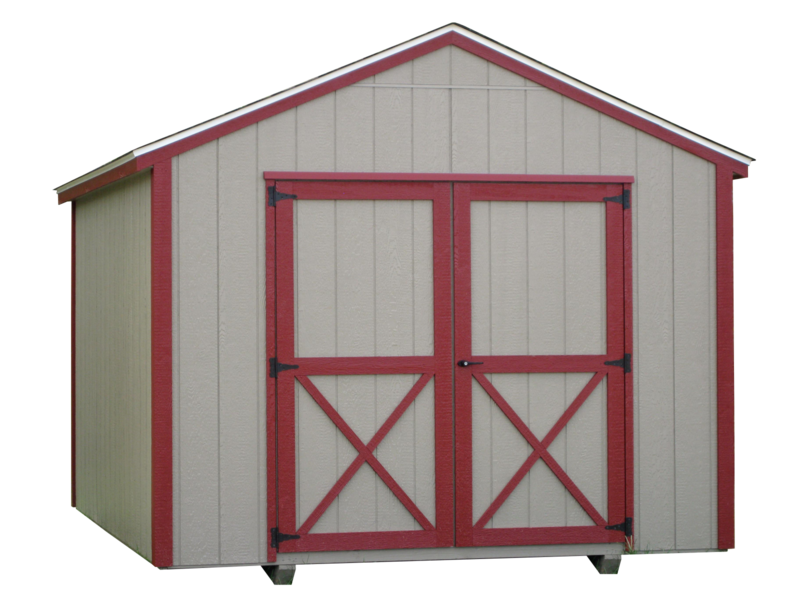 Whatever you throw it’s way, the Garden Shed Max is built to stand the test of time and heavy use. 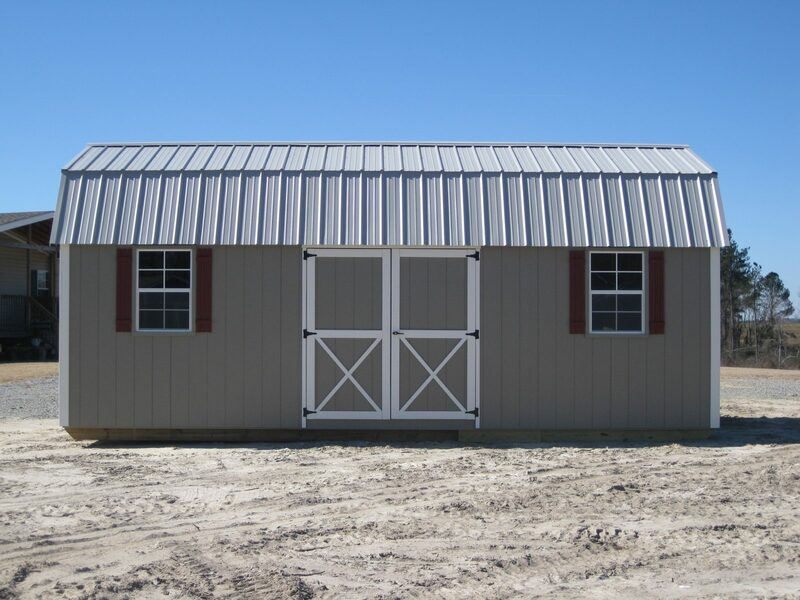 This tall storage building features a classic barn style roof. 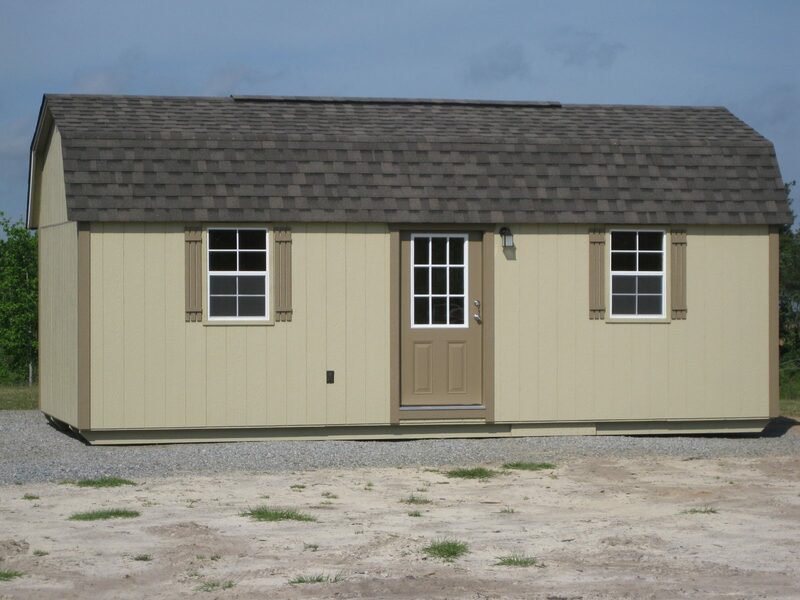 That means that you’ll also have more overhead storage space. 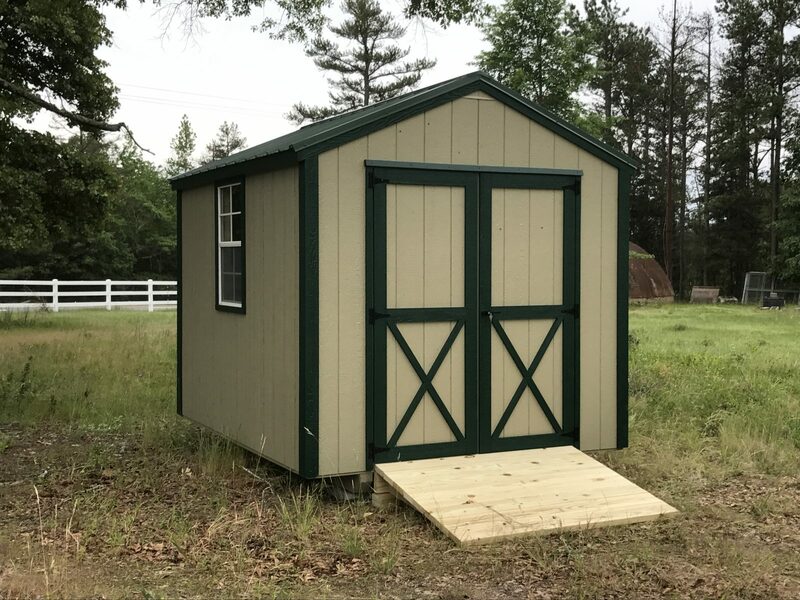 We include a loft so that you can get all of those small boxes off the floor and still have room to store your lawn equipment or set up your workshop. 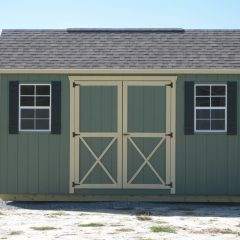 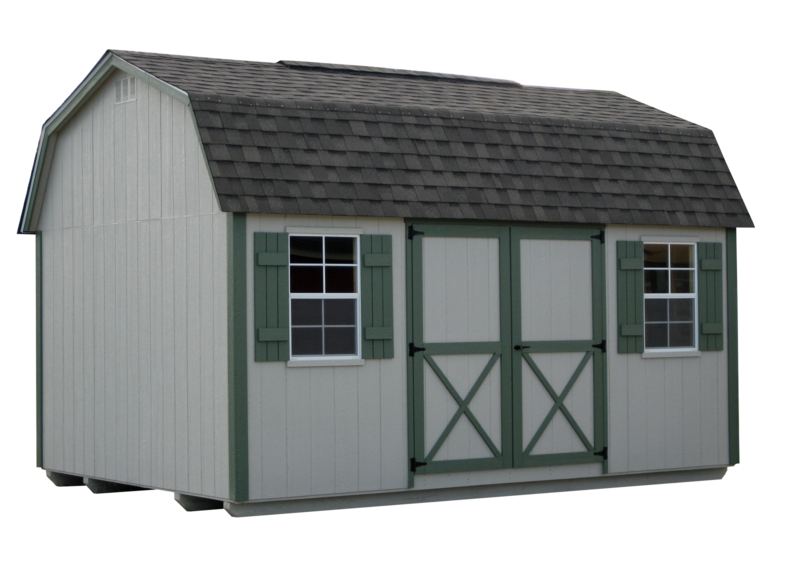 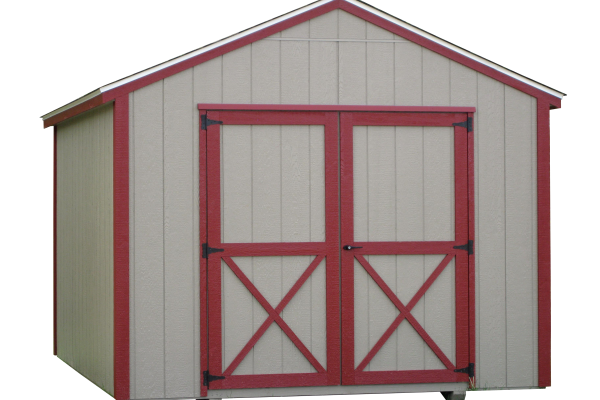 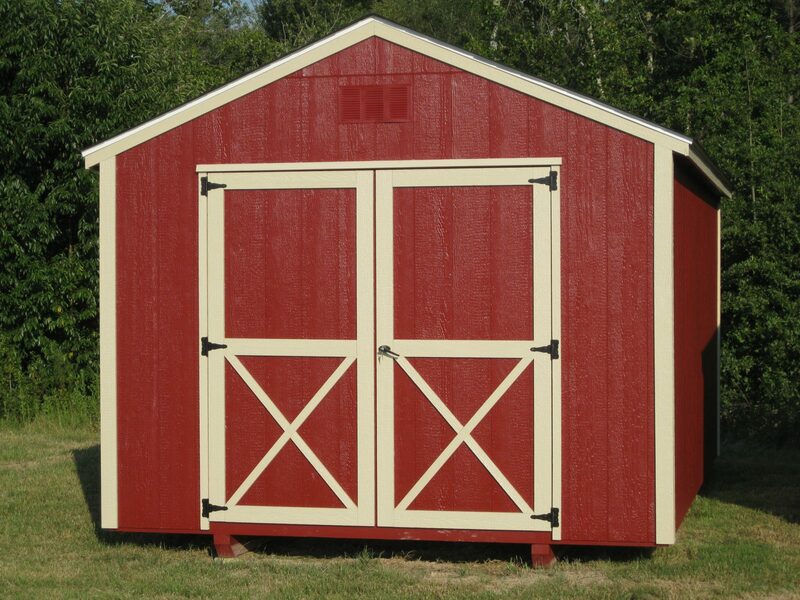 The Lofted Barn Max is a great value when it comes to storage sheds. 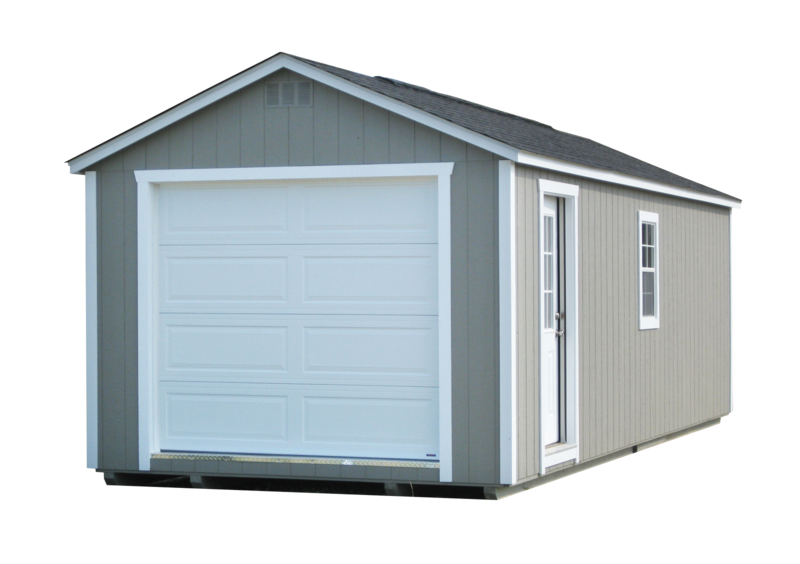 If the garage at your home is overflowing, maybe you need to consider adding another garage to accommodate all of your valuable belongings. 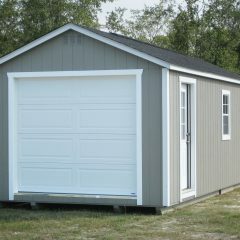 Another great way to use the Garage is to set up a workshop to work on your own or your friends cars. 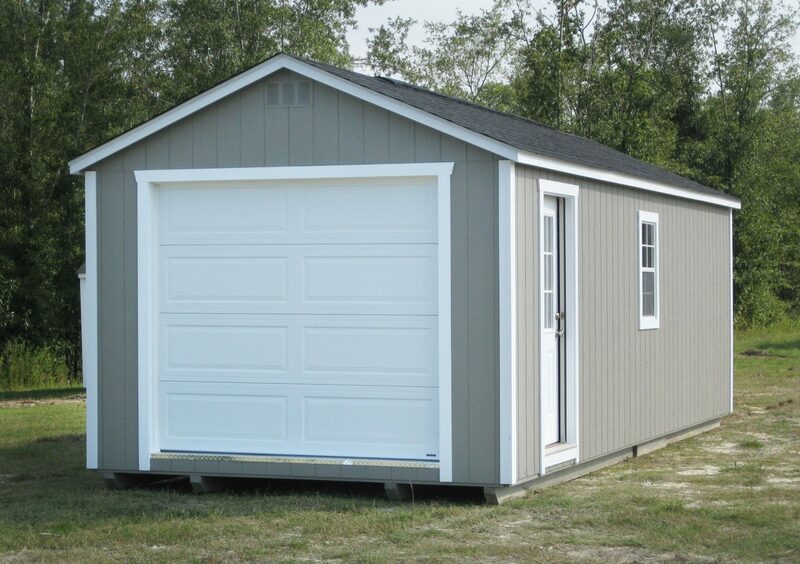 If you value your vehicle, get it out of the sun and park it in a well-built garage. 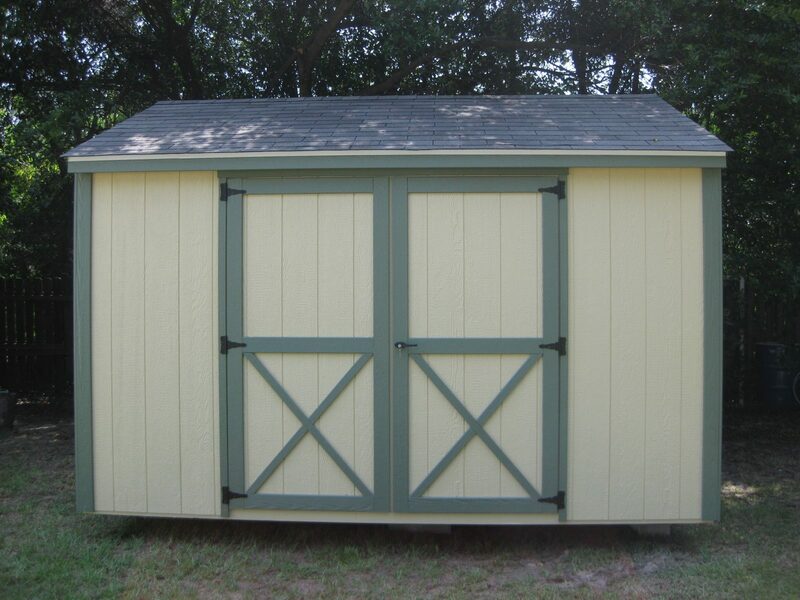 If the Garden Shed Max is the storage queen, the Utility Shed is a storage princess. 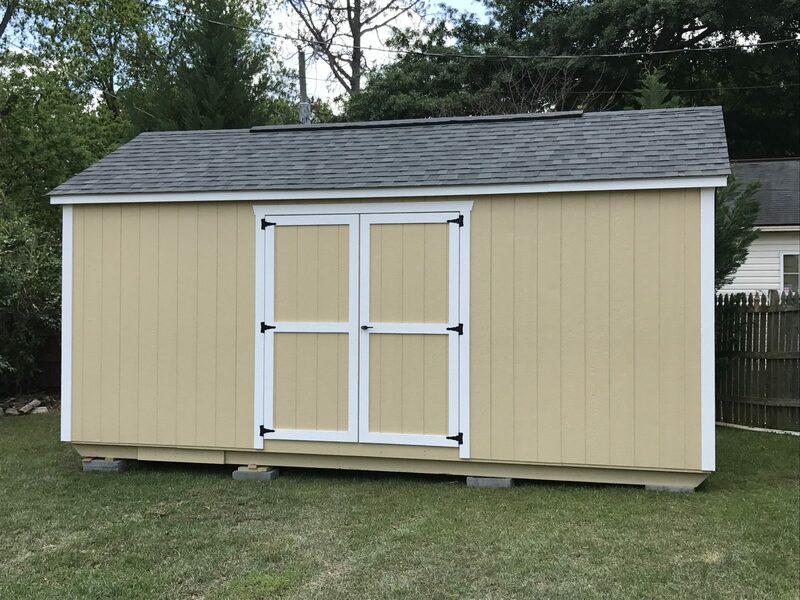 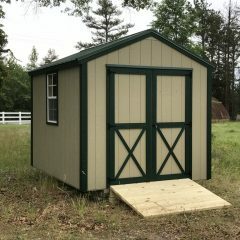 Built with maximum value and a price point in mind, you’ll get plenty of bang for your buck with a utility shed. We offer rent to own if you don’t have the cash on hand to pay the full price today. 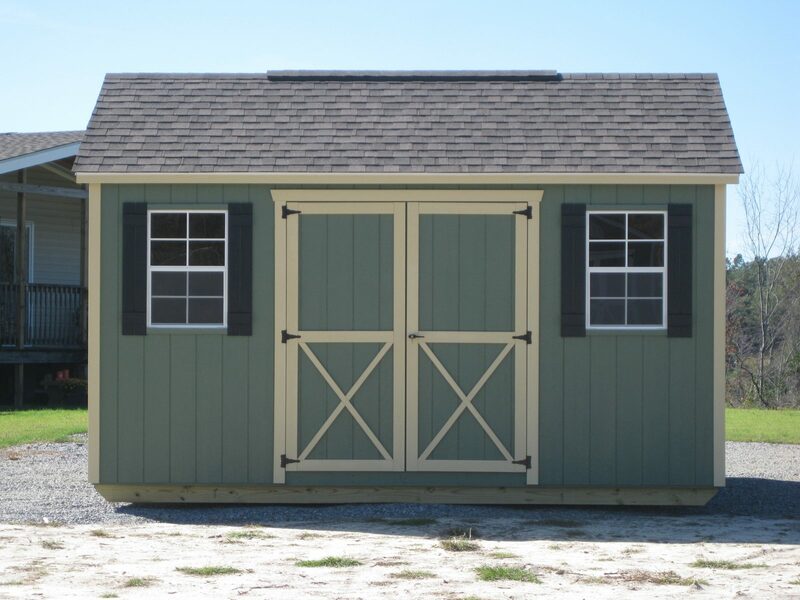 Get one of these in your yard for convenient backyard storage. 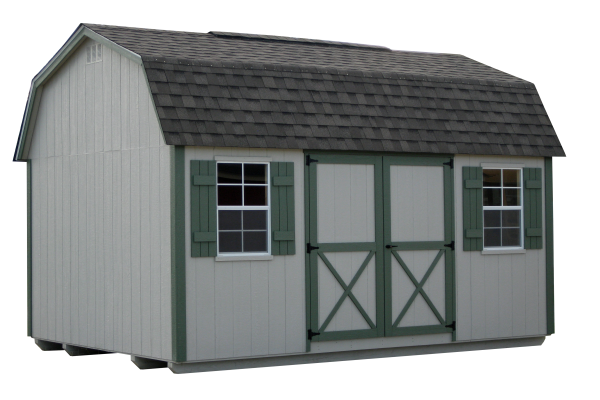 Designing and ordering a new storage shed has never been so easy. 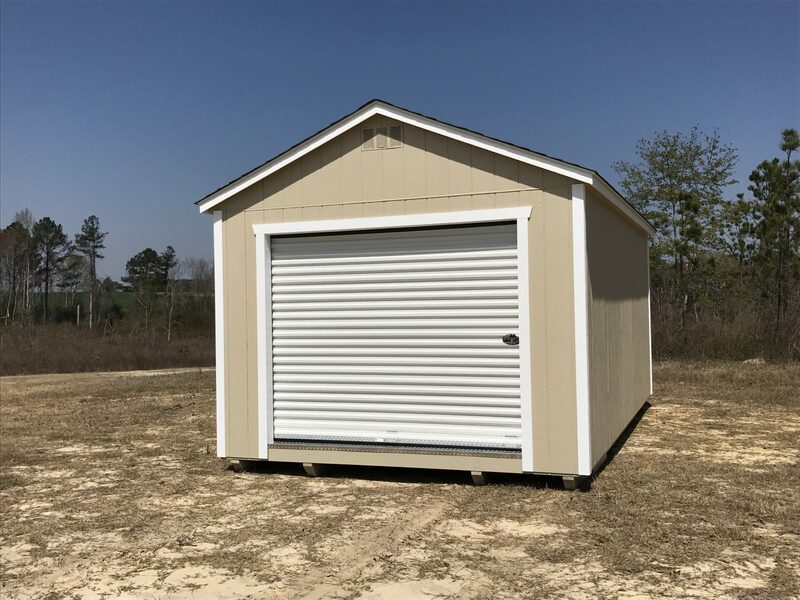 We offer a 3D design tool that allows you to customize your building and see instant results before you place your order. 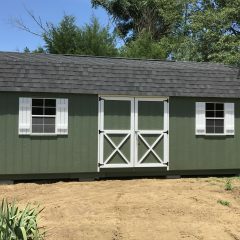 That way you won’t be surprised on the day of delivery. 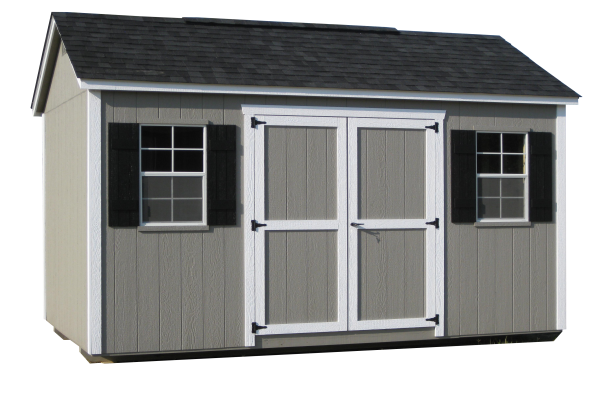 Change your colors, add windows and doors, and get an instant price quote all within our 3D builder. 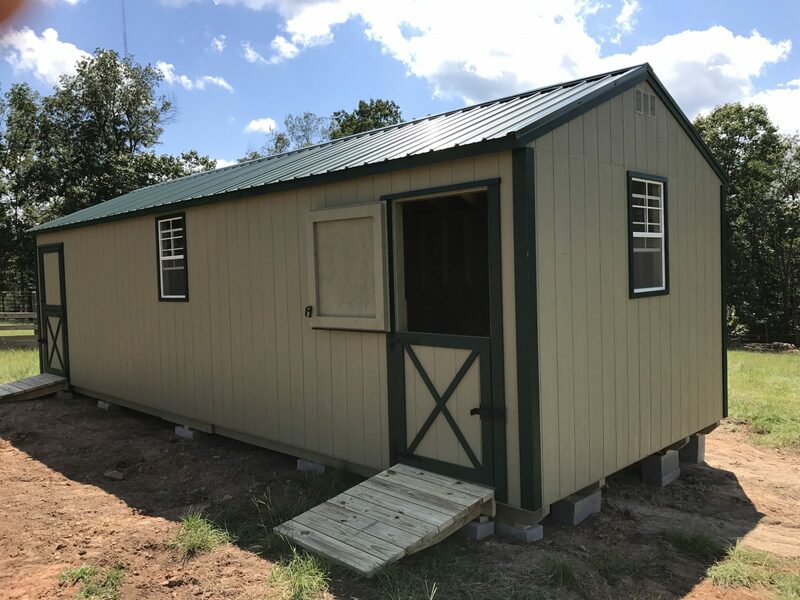 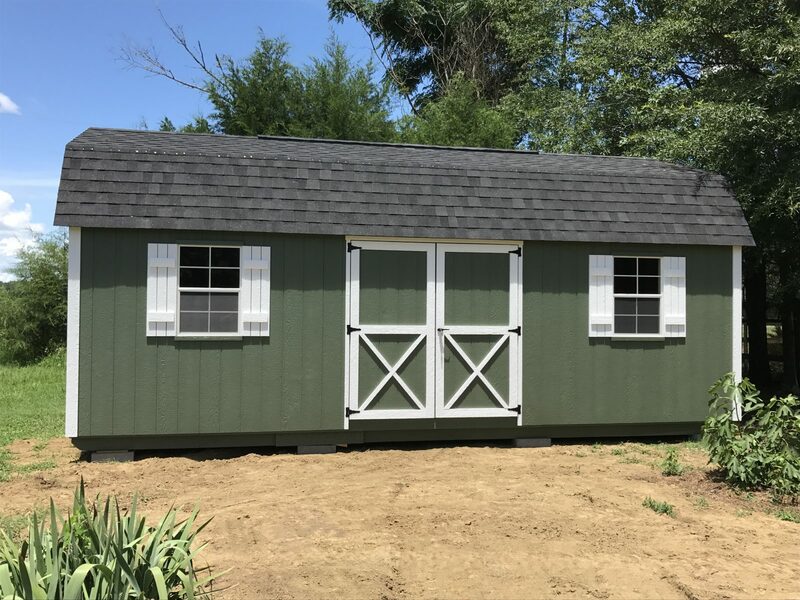 While we know that some of our customers will want to customize their sheds, we also understand that you might simply want a building fast with as little fuss as possible. 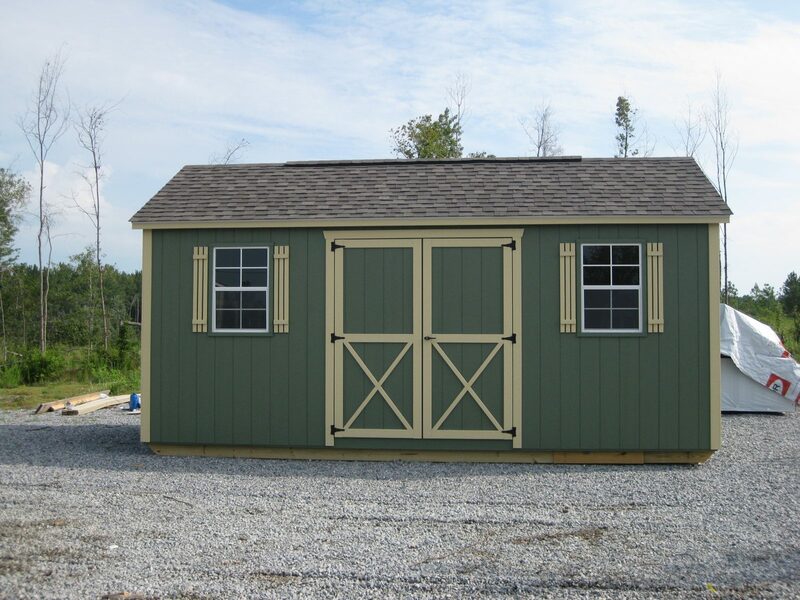 That’s why we keep a large selection of storage sheds in stock for you to choose from. 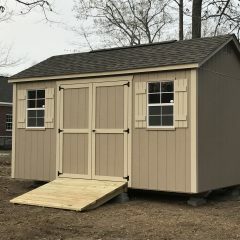 Browse our selection and when you find the building you want, fill out the form or give us a call to let us know you’re interested. 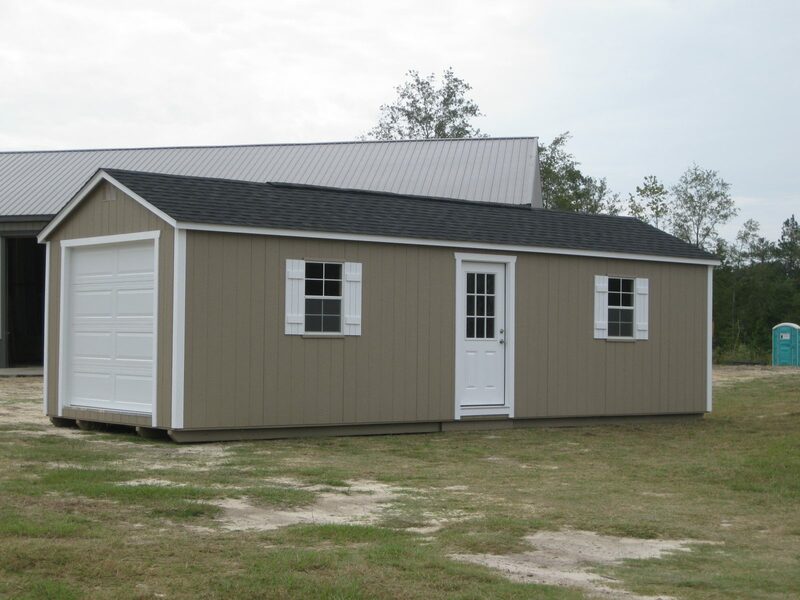 We’ve compiled this photo collection of storage buildings that we’ve built for customers in the past. 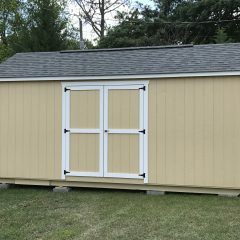 Browse through these photos for ideas on designing your own custom storage shed for your business or backyard. 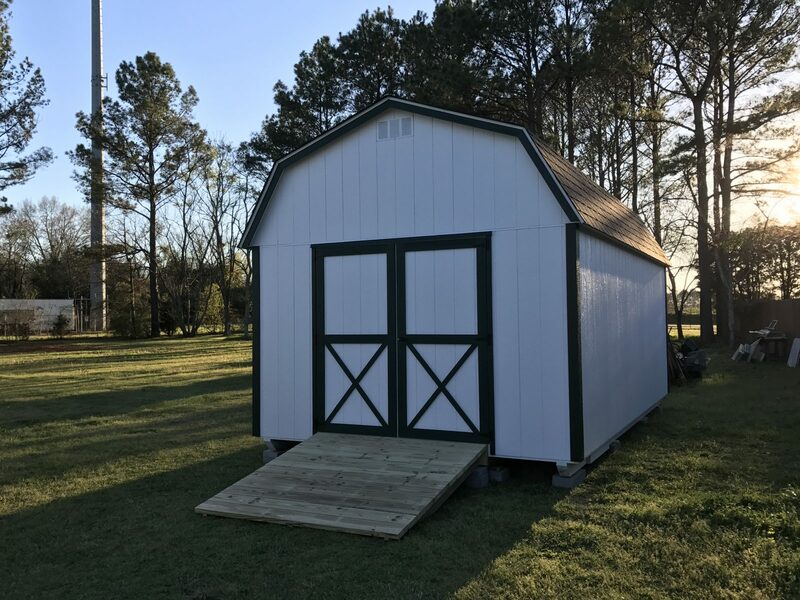 When you buy a storage shed or garage from DuraStor Structures, you can be confident that you’re getting one of the best portable buildings that GA has to offer. 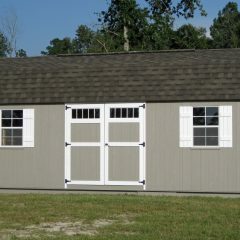 All of our buildings are built in GA for the people of GA. We’re committed to offering buildings that are high in value. 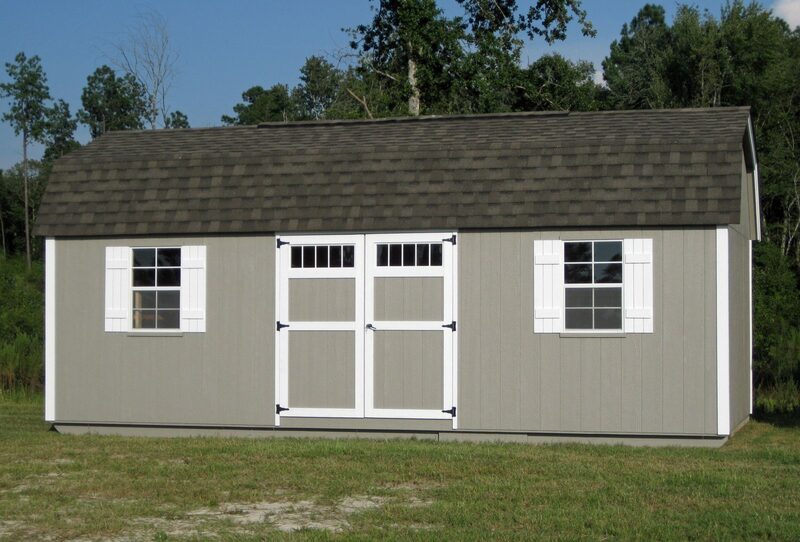 We keep our prices competitive by cutting out the middleman and selling directly to you, our valued customers. 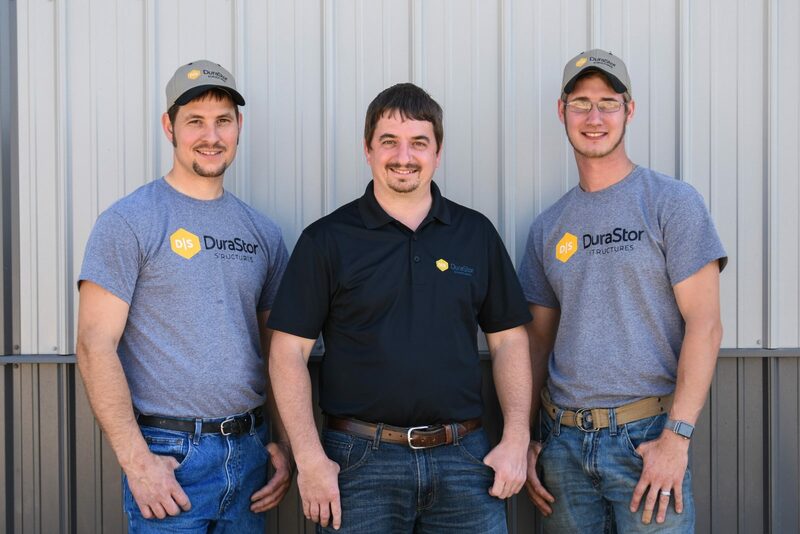 Support the local economy when you buy a DuraStor building. 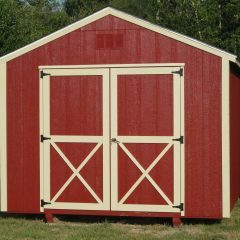 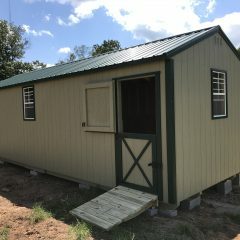 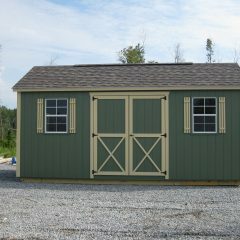 All of our sheds are built in GA by the people of GA.
No hassle delivery and setup. 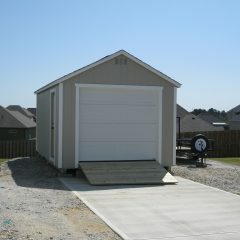 If the shed site is within 18” of level, we’ll provide the blocking and level your building for you. 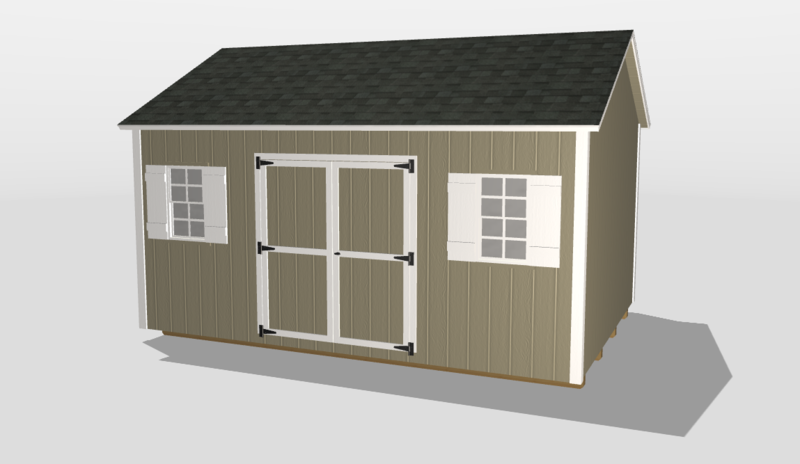 Free quotes and design using our 3D shed builder. 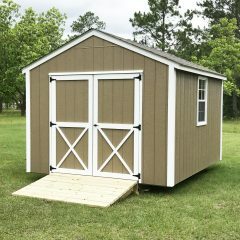 Buy directly from the manufacturer. Save your hard-earned dollars by cutting out the middleman and buying directly from DuraStor Structures.